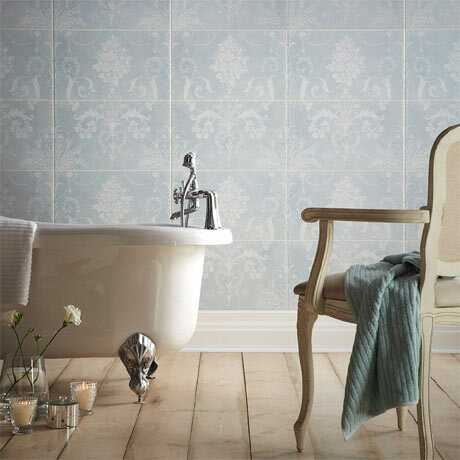 Josette features a classic damask pattern design across a two tile panel, Part A joins with Part B to create an elegant feature wall. Available in Duck Egg blue or Dove Grey, this hardwearing and versatile tile can be used in all rooms. * Please note Part A is required to form the complete pattern.